There are many benefits to essential oils and other natural remedies, however, you want to be careful when using them on or around your pets. Pets have a much stronger sense of smell than humans, and some oils can be severely irritating to them and even poisonous. Our animals can also have unknown allergies or sensitivities that we are unaware of until our pets exhibit a reaction. Essential oils can be beneficial to our pets if you can eliminate those that may be irritating to your animal and by avoiding those suggested by your vet. As always, consult your vet before making any major changes to your pet’s lifestyle. Essential oils are recorded to have been used in alternative medicine for a number of different ailments as far back as ancient Egypt. Essential oils are the combination of flower essence (extraction from plants) and a carrier oil. The essence of a plant is extracted through a steaming or cold-pressing process to obtain a very concentrated, small amount of liquid. If this process is conducted using chemicals, the essential oils will not yield the same result and may cause an unwanted reaction. 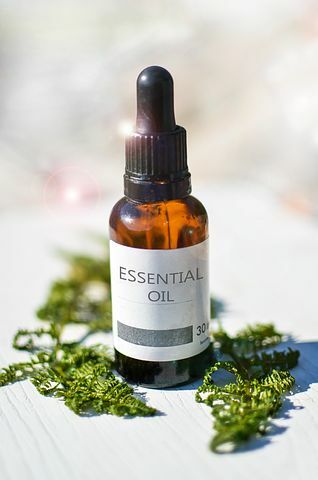 Essential oils are used externally as aromatherapy by applying them to your skin, as a deodorizer blended with baking soda, or using them in a diffuser. They are commonly not recommended for ingestion – when they are, seek out edible-grade oils. When your pet inhales the aroma of the oils, it stimulates the limbic system of the brain. The limbic system is the conscious part of the brain associated with emotions, behavior, and memories. This region also affects the unconscious part of the brain that controls breathing, heart rate, and blood pressure. How Should I Use Them and Which Ones? If you have ever used essential oils on yourself, you know that a small amount goes a long way. When first introducing essential oils to your pet, start with just a drop or two and mix it with a carrier oil, such as almond oil or jojoba oil. You can also use it as a pet friendly air freshener by mixing it with baking soda and sprinkling it on dog beds, carpets and wherever else might need some freshening up. Dilute it even if you are just applying a small amount to their collar. If you are using it as a topical, do not apply to open wounds or irritated skin as it may worsen the issue. When purchasing essential oils, look for reputable brands that other people can attest to the the purity and quality of the products. Some companies attempt to take shortcuts, using harsh and inexpensive chemicals that can be harmful to your pet. If purchasing online, be sure to read the reviews of the product. Many humans use aromatherapy as a stress and anxiety reducer. For dogs, try using essential oils as an antimicrobial, or flea and tick repellent. There are a number of different blends of essential oils that have been effective and safe to use on pets, however, remember that all animals are different and may experience an adverse reaction. Lavender and Chamomile are commonly used for anxiety issues. A blend of clove, cinnamon, eucalyptus, lemon, and rosemary is typically referred to as thieves oil, and is used for its antimicrobial and insecticidal properties. Avoid jumping in with a heavy application of essential oils on your pets. Start with small doses by applying a diluted blend on their collar or conduct a patch test. This can be done by applying a couple drops of essential oil blended with a carrier oil directly on your pet’s skin, and wait about 10 minutes to see if they exhibit any sort of reaction. An important factor to keep in mind when administering essential oils either orally or topically is the chemicals will be processed by the liver and kidneys and may not be suitable for puppies and kittens, geriatric or pregnant animals, or those with liver or kidney disease. Additionally, when applied topically in areas where your pet has the potential to lick it and ingest it, apply lightly to avoid gastrointestinal issues. If you are looking for natural ways to treat your pet and are interested in utilizing essential oils, start with a visit to your vet to discuss the issue. You may find that some oils are more effective than others, but do your research to ensure you do not cause your pet any potential harm.